Let’s get the party started at the Beerhouse Fourways Winter Wonderland themed Glow Party! 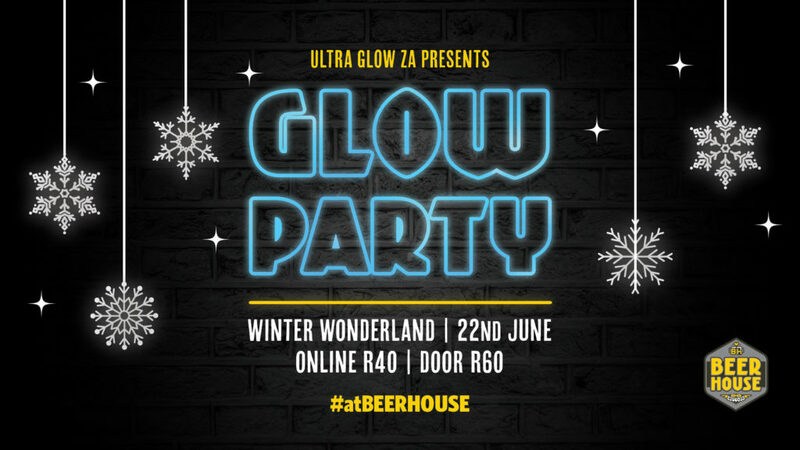 Join us on Friday the 22nd of June for the baddest, freshest and most out of this world #GlowParty in Johannesburg #atBEERHOUSE, powered by Ultra Glow – South Africa. Glow hard, or go home! Extra UV body paint and face painting available. Please follow the facebook event for updates.